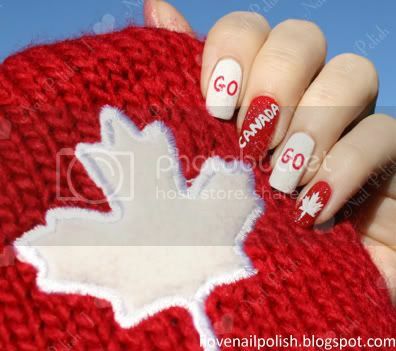 I Love Nail Polish - A Nail Polish and Beauty Blog: Go Canada Go! Very cute; I love it! I'm watching the Olympics right now!! Haha wow I heard the hype's really been up in Vancouhver but either way I think that's great. Meet Miga the Sea Bear!